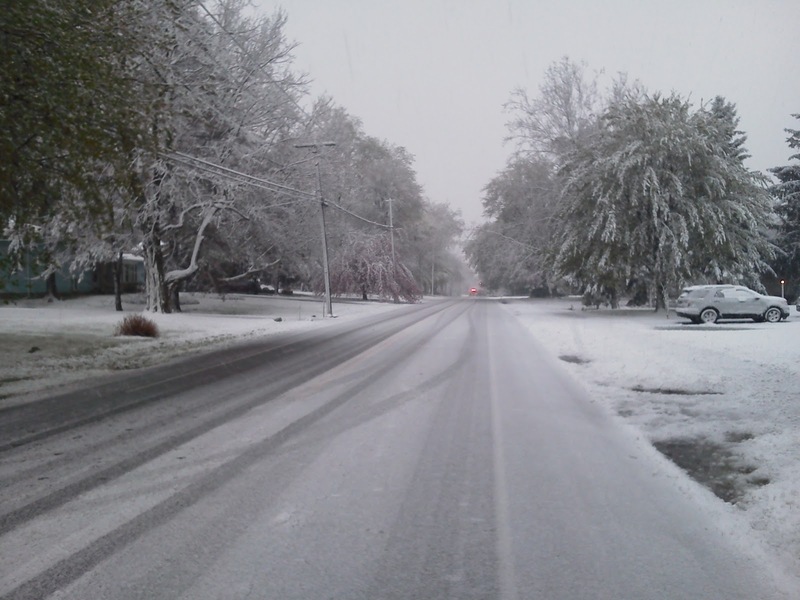 A heavy wet snow began to fall sometime before sunrise this morning to the area. A large part of the eastern side of the country is being effect by the coastal storm. Here in Penfield the snow has brought down several trees and power lines. The fire company has answered 5 storm related so far between the hours of 6am and 8am.